Need inspiration for quality time for boys and girls, and young-at-hearts? 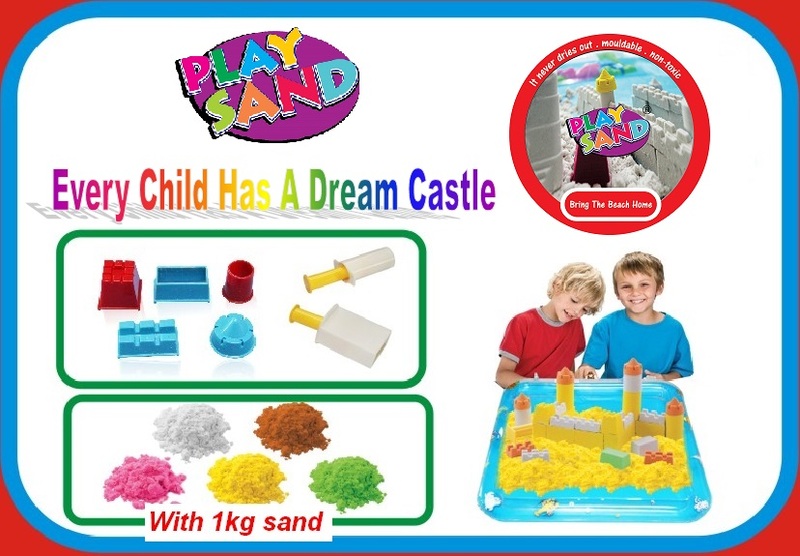 Use Play Sand and let castles be the theme in a project or in individual play. This classical theme makes it easy to find inspiration, and participants quickly become involved in deciding what kind of castle to build. Making the castle look old or modern, or even crazy or beautiful - it’s all in the hands of the creator. Use Castle Moulds to form the foundation of the castle. Personalize it with your own ideas for the windows, roofs, flags, and combinations of shapes - and even more ideas will arise during the creative phase. 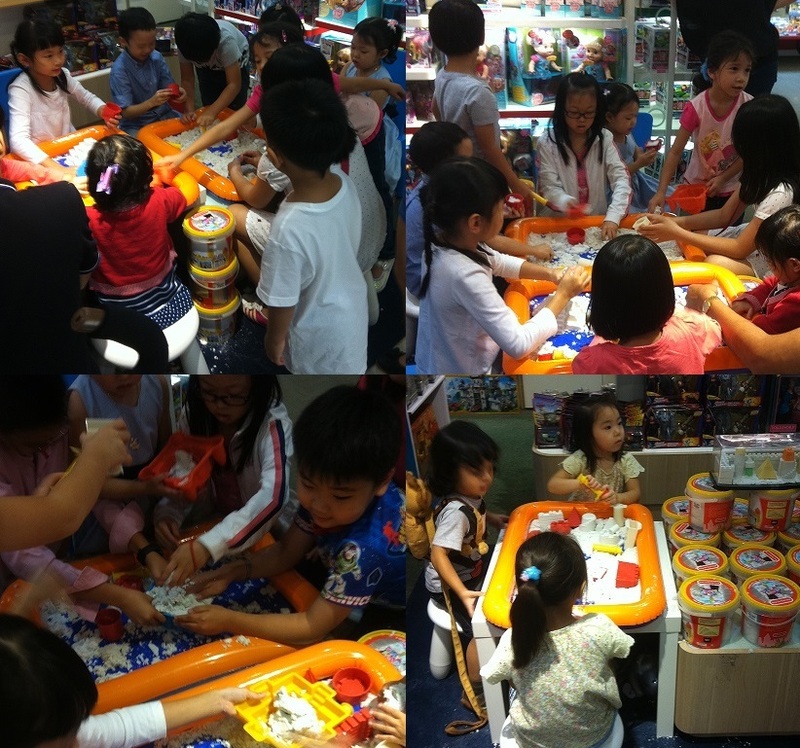 Let the fun begin - make a magnificent or crazy castle! 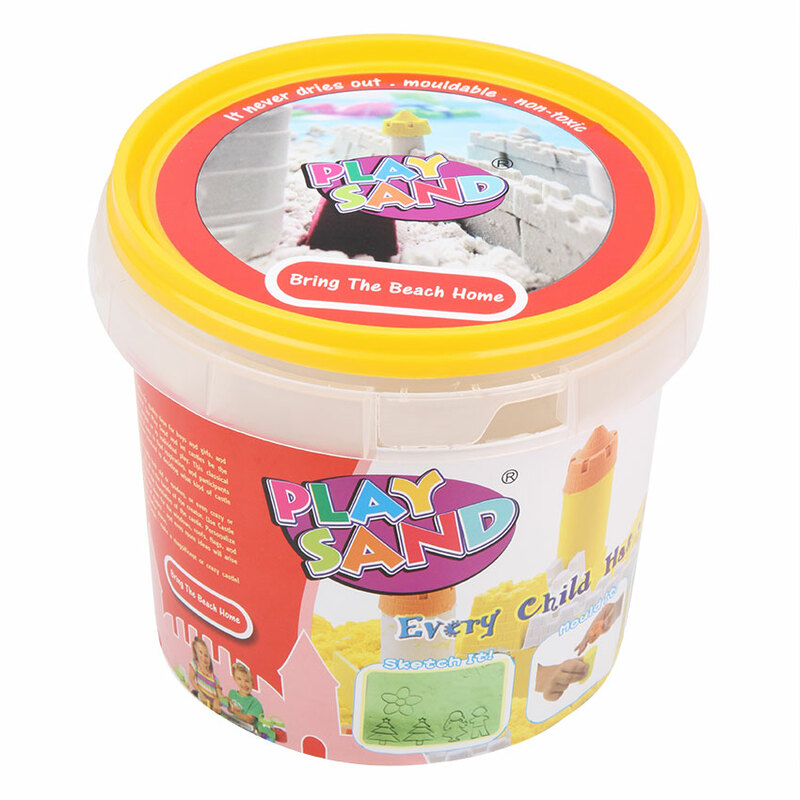 1kg Play Sand White together with an Inflatable Tray, Castle Moulds and Brick Maker. 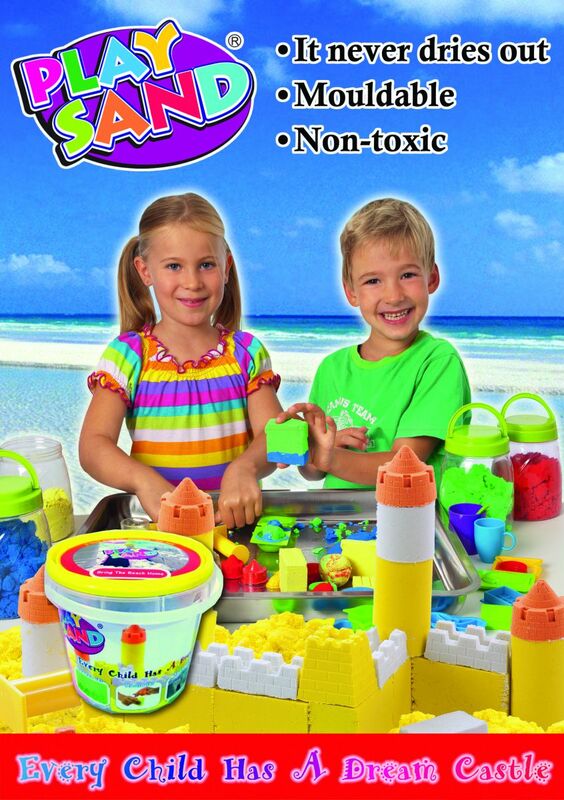 Play Sand is the magical sand compound for kids that never dries out! 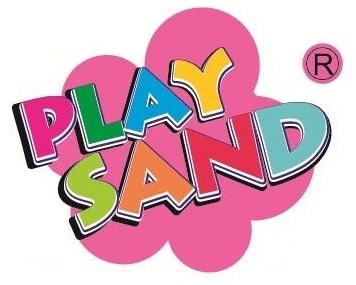 Similar in its grainy texture to real beach sand, Play Sand comes in white color, and is accessible for year-round play. This specially coated natural sand feels like wet beach sand, but it’s easier to shape and sturdier to build with… squish it, sculpt it, mould it!